My first publishing experience. Windows NT 4.0 anyone? 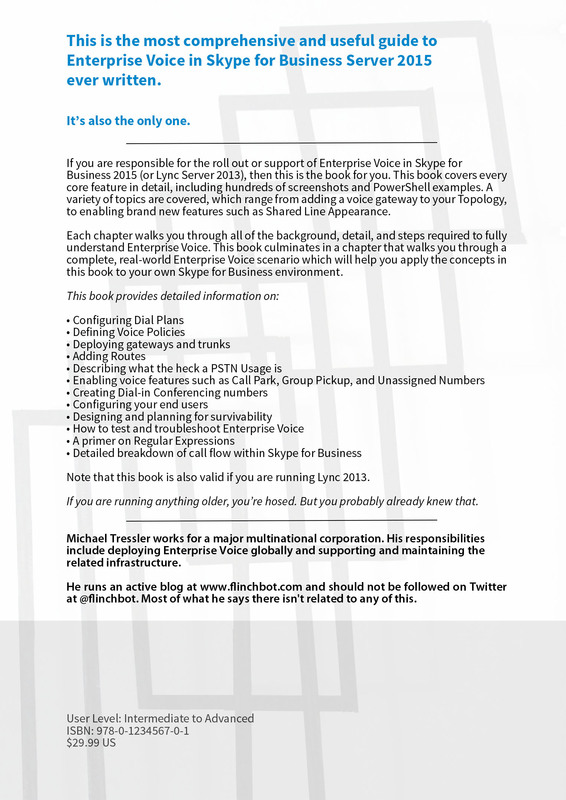 Some of you may be aware that I recently published a book – Enterprise Voice in Skype for Business Server 2015. Visit www.evs4b.com for full details. I originally started writing the book over 3 years ago while we were still basking in the glory of Lync 2010. I spent some time and roughed out the chapters I wanted to write. I then went ahead and wrote a few chapters. For reasons lost to my aging memory, I quit writing that book. My guess is because Lync 2013 was released. It kept gnawing on me over the following few years that I should return to the book and finish it off. So at the end of May 2015 I took 1 week off work with the explicit goal of reviving the book project. Apparently like most authors with time on their hands, I spent most of my time napping, watching TV, and hanging out with friends. I did not end up spending a full week on the book. But I did make progress. I realized I wrote much less than I had remembered. I thought I was about 4 chapters in when in reality it was barely more than two. And it was a good thing I didn’t get much further. Over time, we tend to get better at things like being able to walk or ignore politics. In my case, I got better at Enterprise Voice. Much better. Though I didn’t accomplish much during that week in May, it did get this whole project going again. Part of the project was building up a real-world environment at home. I didn’t want to use any of my work resources for any of this to avoid any conflict of interest. So I upgraded one of my servers at home and then built up a whole new home environment from scratch – including building two Asterisk servers (though in the end I only really needed one). With this in place I was able to test and validate everything in the book. See all of that PowerShell in the book? Every one of those lines was successfully run in my lab before it ever made it into Word. I probably averaged about 15 hours a week working on the book between the end of May 2015 and December 2015. Some weeks I didn’t work on it at all. Other weeks I worked deep into the night day after day. As I was writing this and making good progress, the project continued to become more daunting, not less. I kept thinking of more topics to write about. One could write a whole book just about Exchange UM. How was I going to learn all of the details and intricacies of that and fit that into this book? What about Response Groups and Call Admission Control? Some time in October I was driving from Nashville, Tennessee to Columbus, Ohio to meet some friends there to watch a Columbus Crew MLS game. (Go Crew!). On the drive I was listening to some of the MS Ignite conference presentations. Somewhere during that time it dawned on me that I could easily focus the book based on how Control Panel is laid out. If I focus on the Voice Routing tab, I’ll be able to cover all of the key features and readers new to the topic will only have to focus on one section. After I got done with that I decided that it wouldn’t be too much more work to write about Call Park and Unassigned Numbers found in the Voice Features tab. And ….why not throw in Dial-In Conferencing too. But that was it. I now had a properly framed book, topic wise. But the problem was…my Word document got corrupted. I was about 90% of the way done with the book when Word decided to crash every time it opened the document. Sure I had backups but I would basically lose a weeks work because I wasn’t backing up as often as I should have been. Interestingly, the document opened up just fine via Word Online. I did open a personal case with Microsoft support but they couldn’t figure the problem out either. This knocked the wind out of my sails for about 2 weeks before I could get myself motivated to fix this the hard way. So I went to my backup and basically copy/pasted from Word Online into Word on my PC. I also spent a while making sure I had every possible backup option in Word enabled. I also started manually doing a whole bunch of “Save As…” moves whenever I got done with a few paragraphs. After recovering the file I never had a corruption again. My sister has a Masters Degree in Art from Pratt Institute in Brooklyn. So she was the obvious choice to do the cover art for me. The cover is from an original installation she did for (I believe) her Masters thesis. 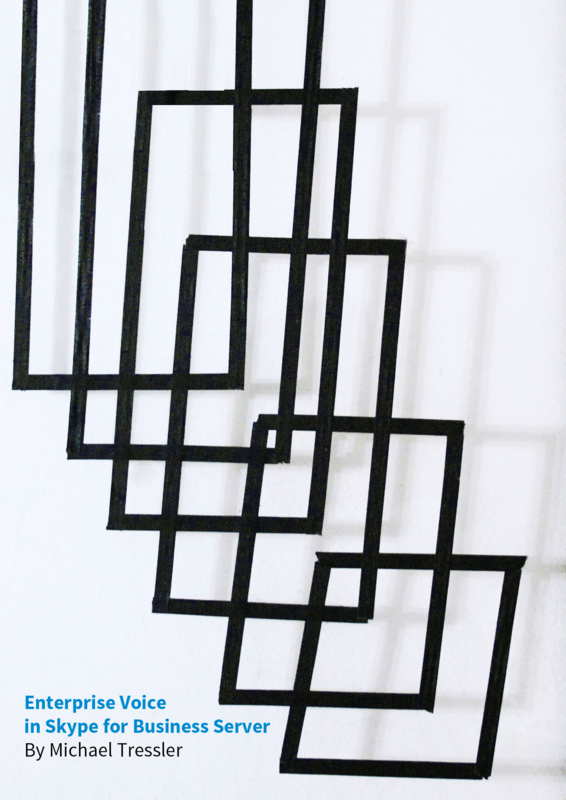 She snipped off a part of that installation and let me use it for the book. The squiggly lines on the first page of the book are also from one of her original works though, taken out of context, it just looks like some squiggly lines! Check out her website at www.jessicadadams.com to see more of what she does including the full context of the cover art. If you look deep enough into the minutia of the book, you’ll see that it is published by Edgehill Publishing. Who are they? “They” are a friend of mine named Andrew Young. He has self published 2 of his own technical manuals – Expert Advisor Programming for MetaTrader 4 and Expert Advisor Programming for MetaTrader 5. He used to live on Edgehill Avenue in Nashville so there you have the name of the publishing company. He has a few extra ISBN numbers laying around so he gave me one in exchange for buying him some beer. That’s how business gets done. Any book like this needs a technical editor. As I was writing this book, I had the name Ken Lasko in the back of my mind as the first person I would ask to do the technical editing. Once I had the book ready for the first pass, I reached out to Ken via Twitter. I’ve been reading his blog for a few years and it focuses heavily on Enterprise Voice. He also has given several presentations at events like Lync Conference and Ignite. I feel fortunate that he agreed to do the technical editing. He provided a lot of feedback that not only makes the book more readable but also more accurate. At least half of the call-out boxes in the book are directly in relation to Ken’s feedback. Plus he also never mentioned to me that he thought the book was rubbish so it was a good confidence booster that a respected MVP like Ken did 2 tech editing passes on the book. Once I thought the book was ready to go live, I needed to figure out how to get the book formatted for CreateSpace. CreateSpace is the self-publishing division of Amazon. I was under a time crunch to get this book published. I had no idea how to do it – not to mention a few formatting issues I couldn’t figure out. Through dumb luck I stumbled across the website www.peopleperhour.com where there are a bunch of freelancers who claim to have helped put dozens (if not hundreds) of properly formatted books into publication via CreateSpace. I reviewed a few online resume’s and selected Luanne T. to do the work. She has been incredible. I am way under-paying her for her time but I hope to get her a fair payment soon. She basically had to reformat the whole book – including the hundreds of images. The Kindle version is also a fork off the original document so that had to be formatted differently.With her masterful assistance, the book fit all of CreateSpace’s criteria on the first pass. After submitting the book, I ordered a proof copy to make sure that the book looked good on printed paper. I spotted a few grammatical and formatting errors but I was focused on making sure all of the screen shots were clear and legible. I showed the book to a few friends the day I got it. They flipped through it and said it looked good. So I pulled the trigger and on 16 March, 2016 the book was published. I then read the paperback book all the way through. I can’t explain it but I’ve read the book front-to-back about 5 times but reading it in paperback I found a bunch of errors. Between my readings, Ken’s readings, and Luanne’s work formatting the book, how can so many little mistakes pop up? it’s beyond me. So I put together an errata that can be found on www.evs4b.com. But this is the modern publishing age. So I can fix this. I edited the Kindle manuscript before submitting it to Amazon. So the Kindle version should be free of everything listed in the Errata. I also re-submitted the paperback manuscript to CreateSpace with all of the fixes. If the printed date in the back of the book is after 21 March 2015, then you have the updated version and the errata does not apply to you. I’ve mentioned throughout this little blog posting that I’ve had a deadline and had to get this book published quickly. The reason is that I accepted a new job a few weeks ago to be a Senior Consultant at Microsoft. My first day is tomorrow (28 March 2016). Releasing the book before I start at Microsoft avoids any conflict of interest or having people buying the book thinking that this was written by a “Microsoft person”. The next version of this book (probably when the next version of Skype for Business gets released) will probably have to go through the whole Microsoft process for an employee releasing a book. So because of that deadline, I had to blast through the proofing section so I apologize to any of you with a book that requires the errata. There are no semantic errors in the book but a few hyphens are missing on some PowerShell commands along with some weird and random grammatical issues. Now I have to hope people will buy this book. I need to sell about 100 copies to recover my personal financial investment and break even on my out of pocket expenses. I then need to sell a whole bunch more to cover the amount of time I poured into the book. I’m less concerned about recovering that money. I wrote this book because I am passionate about the topic and there is no single resource this in-depth on this topic. As I was writing it, I had an imaginary reader. This imaginary reader did not have English as their first language . This imaginary reader was given a project to add Enterprise Voice to their existing Skype for Business implementation. For good portions of the book, this is the person to whom I am talking. I hope that the book is easy to read yet detailed enough to get the job done. Now, have your company buy the book for you so I can be motivated to re-do all of this with the next release of Skype for Business! Already ordered it on amazon, hope to get into my hands soon. oh, yes, forgot to say: from my own pocket, not from company money. Quality work deserves that. I greatly prefer my tech books as pure electrons, but am buying the paperback so that I can make my colleagues read it. I’m buying it with my own money because trying to buy anything through my employer takes ages. Congratulations, and I can’t wait to see what all you’ve done in depth on this topic! This book is really good, and got me up to speed on enterprise voice really quickly. Thanks so much for writing this! The book is actually readable. I am almost 65 years old, and like you, have deployed ove 50, windows 3.1 server on Alpha server 2100 platform, for those who don’t know, it was the first 64 bit windows server platform, running on Alpha Chip. Please I only wish if we could get an electronic version as well. Thank you for you Kindness. Just for your information, to setup a voice lab.Ii have been using the following method. on my PC, Virtual platform. i create 2 forest. Forest A, and forest B.
deploy one skype for business on each forest. (collocate mediation server. on Forest A: Define GW with the address of 172.16.10.100. set to enable TCP on mediation server. on Forest B: Define GW with ip address of 172.16.10.50.
set both side to talk TCP. Read my silly food blog! © 2019 Thoughts From a Bot Named Flinch.